As telcos gear up to roll out the first 5G networks, enterprises are keen to see how they can take advantage of faster 5G connectivity to support a broad range of applications, from the internet-of-things to high-fidelity remote applications. 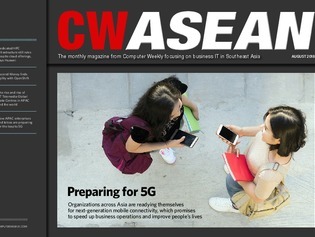 In this edition of CW ASEAN, we look at how telcos and enterprises are readying themselves for 5G and the opportunities presented by the new technology. Huawei executive makes the case for dedicated high-performance computing infrastructure, despite the growth of public cloud services that have democratized access to HPC and AI capabilities. Besides implementing Red Hat’s OpenShift application platform, Thailand-based payment technology firm Ascend Money adopted an open source governance model to keep IT teams aligned with business goals. A blended strategy of building and acquiring datacenters, as well as forming local partnerships, has contributed to the rapid rise of one of Asia’s fastest-growing datacenter providers.